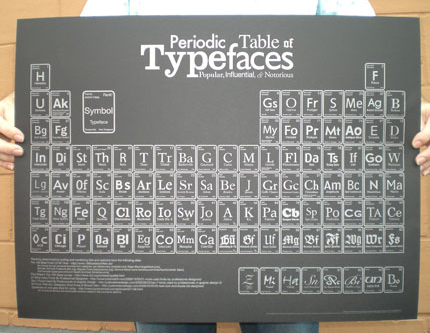 I have one of these marvelous typographic posters, based on the periodic table, to give to one random soul. The designer, Camdon Wilde clearly onto a classy winner has now come up with version 2, in a stylish black and silver version. Sign up to the ImJustCreative RSS Feed. Please also leave your Twitter ID. That’s it. No jumping through hoops this time. Plain and simple. I will draw a random name in a week or so.